What Additional Security Measures Can Your Business Take? Do you want your business to be incredibly secure? We maintain that fences are as great a security measure as any available out there today. They are dependable, reliable, and functional, and we stand by their quality and integrity. But your business is a very important aspect of your life, and it is your livelihood, so we understand that sometimes you want more than just a fence. But what else can you use to protect your property? Here are four security measures you can put in place in addition to a fence to protect your business. 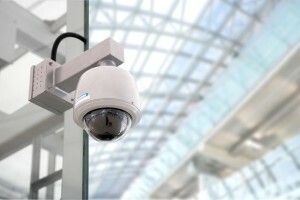 Cameras are a tried and true security measure that is just getting better with advances in technology. While you used to have to go into your business and review actual tapes of footage after the fact, they can now connect to the internet. This gives you real-time access to your security feed, as easily as using an app on your phone. With realtime access, you can monitor your property 24 hours a day, 7 days a week. You can even grant access to people who should be there, if your cameras are connected to an access control device on your perimeter security. Electronic keypads and other access control devices are a great way to grant controlled access to an area. They can be installed on doors or fences, and you and your employees can have unique credentials for disarming them. As mentioned above, they can also be set up to work with other security measures like cameras. Infrared sensors are a great security measure for especially sensitive areas or areas that you see as key physical security vulnerabilities. You can set them up around important doors or zones so that they trigger an alarm whenever someone passes through them. If you use them in conjunction with cameras, the triggered alarm could alert your security team to check those cameras for security threats. As an added bonus, they’re very energy efficient, so they won’t send your energy bill soaring. While guard booths might feel a little traditional or outdated, they are a great security measure. They act as both a clear point of entry and a visual security barrier: people who you want entering your property will know where to go easily, but when potential trespassers see an active guard booth, they are less likely to try to enter your property. And active doesn’t have to mean manned. If you have the right technology, adding a guard booth will mean adding an additional person to your payroll. This entry was posted on Friday, September 21st, 2018	at 9:48 am	. You can follow any responses to this entry through the RSS 2.0 feed. Both comments and pings are currently closed.